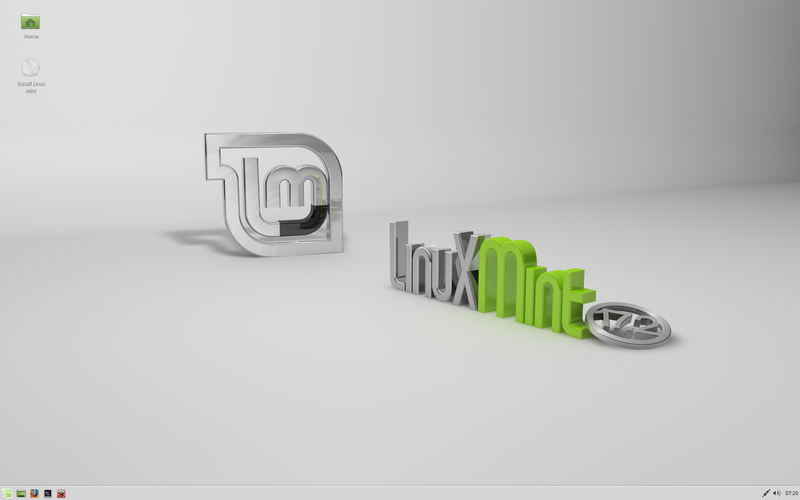 The team is proud to announce the release of Linux Mint 17.2 “Rafaela” Xfce RC. Next Next post: Linux Mint 17.2 “Rafaela” KDE RC released! very nice work. 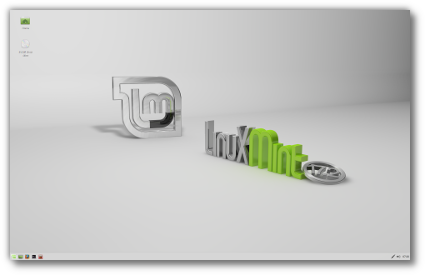 i am a fan of linux mint XFCE. i think Mint team can consider XFCE as true replacement of MAte desktop in long term. Thank you! xfce and mint… the best! Thank you very, very much, Mint team! Please, one question, though–is AbiWord updated to 3.0.1 in this release? Edit by Clem: The Xfce edition shipps with LibreOffice by default. Abiword is available in the repositories but it’s version 3.0.0. I’ve been using it since yesterday and so far it seems to be more stable than Mint 17.1 with Xfce 4.12 added from PPA and Xubuntu 15.04. Thunar didn’t crash once yet. One remark about the new Power Manager, though: its system tray icon doesn’t show the remaining battery power / remaining time of battery use anymore, when you hover the mouse pointer over it. Even clicking on it reveals no information about that…. That’s a pity, and a usability regression compared with its predecessor in Xfce 4.11 and earlier. Can this be fixed by you, or is only an upstream fix possible? Edit by Clem: Hi Pjotr, I can’t reproduce this issue. The applet shows me all that upower provides here. I get the percentage and time remaining for the battery in the applet and systray tooltip, as well as percentage for the wireless mouse. Try to run “upower –dump” (there’s two – signs there.. careful, the blog seems to eat them) to see if that’s upower/hardware related. Ehm, the tray icon on my system still does that. I guess there is some incompatibility with your hardware but not with mine. Three minor Xfce issues to raise. Welcome Screen not centred, button almost hidden, netbook 1024 x 600 display. VLC seems to be using Redmond, rather than Mint theme? Power Manager: Setting ‘Switch off after’ to ‘Never’ also changes the other 2 settings to ‘Never’. Just discovered, this also happens in 17.1, is it possible to improve this default behaviour? Edit by Clem: Does the mintwelcome bug happens if you launch it manually? We’ll look into VLC (QT themeing more generally). Regarding the power manager, it looks like an upstream improvement, I’d recommend to ask this to the Xfce devs directly. I can see why changing the value of “Switch off” changes the values above it (they need to be inferior basically), but yeah, when you set that to Never, then there’s no need to modify them.. it’s a tiny usability issue I guess and it’s best to issue a request with the Xfce devs directly. Edit by Clem: It’s not controversial, that’s how it’s done (we didn’t inherit that bug by the way, it’s always been an issue, in all GTK environment with all QT apps). In 17.2 Xfce we forgot to ship mint-artwork-gnome it seems, so we’ll do that (and that provides the Trolltech.conf the Cinnamon/MATE editions are already using). Regarding the settings manager, yes and no.. we looked at this thread and the suggested solution, we identified the issue but didn’t agree with the solution. We don’t really want all system apps to appear in there. With that said, we adapted many of them to appear in the settings manager (MDM, mintlocale, mintinstall, mintsources to name a few). The LO icons were updated for 4.4 yes. I’ll have to look into tearing/epoxy, I wasn’t aware of this… http://packages.ubuntu.com/wily/xfwm4 doesn’t indicate a dependency on libepoxy though.. Thank you LM team, good work ! Booting the Live ISO from USB, but same graphics problem, like Ubuntu 14.04.2 LTS. :/ I can’t see anything, and i can’t installing. 🙁 I have a GTX 750 Ti (Maxwell), and here is the dmesg out: http://pastebin.com/i5Cm0zXb Please fix it, before the final 17.2 is out. Thank You! Edit by Clem: Hi Sean, please check the release notes for workarounds/explanations/solutions on GeForce issues. I have the same problem in 17.2 Xfce. When I used 17.2 Cinnamon, MATE & 17.1 Xfce there wasn’t this problem. Please, improve it. Thank you! Hi everyone!!! I already have Rebecca running on my laptop, the question is:How can I update to Rafaela without having to reinstall the whole system? Edit by Clem: Hi Abel, we’ll make announcements when the upgrade is available. I checked and tested all distributions and desktops, So, In my idea, We should simplified Linux the same as the other famous and useful operating systems. Mint group should create a desktop environment according Ubuntu Mate that be faster and beautiful and easy. The feature is for the Fastest, Beautiful, Easiest and … Operating System and Distribution. I advice Mint Group to Create an Ubuntu-Mate base Distribution and desktop environment for Mint Linux. Take a look at Windows 10 to get ideas from that. I`m waiting for these changes and improvements. Edit by Clem: 1) I disagree. There was a need to support Xfce Settings and we did in many apps, but I don’t think these should list absolutely everything that might get installed. It’s arguable of course, maybe this discussion should happen upstream from us with the Xfce devs. As it is now though, I think we reached a nice solution. 2) I understand, but you mentioned this was fixed in Vivid? And I’m surprised because it doesn’t list libepoxy0 as a dependency (which is a sign it wasn’t built against it). 4) Confirmed, I just built xfce4-session with legacy support and QT looks good. We’ll push this fix in an update. Edit #2 by Clem: Xfwm4 using epoxy instead of drm to vsync using openGL starts with https://github.com/xfce-mirror/xfwm4/commit/8fbff6ce0c097897a1f909dd02f72f4160f23d99.. but that commit isn’t part of Xfce 4.12. In fact it’s not even labeled afaik. If you look at the master branch, the devs are still ironing out GL aspects as far as June 2015. I’m reticent to jump to master. I wouldn’t want distros to use my muffin master branch or to jump further than our 2.6 labels. A simple bug fix can be cherry picked of course, but here we’re talking about a significant improvement. It doesn’t look like a bug fix planned for Xfwm4 4.12.4, more like a feature of an upcoming Xfwm4 4.14.x. It’s also not commit to take in isolation, there’s a trickle-down effect at play, so we wouldn’t cherry pick here, we’d basically jump onto master. I’d rather leave that decision to the Xfce devs. Let them decide how to label this and then we can consider upgrading to an eventual newer version. Hey there Clem hows it hangin? I’m a real big distro hopper and it seems no matter how many distros I try I always come back to Mint 🙂 You guys make the best flavors of Linux by far. Your XFCE edition is my personal favorite though. I was just wondering something about 17.2 I know you have XFCE 4.12 now but I was wondering if you guys updated the whisker menu to its latest version. I think its 1.5.0 or something like that. I know theres a PPA to install it floating around online. I’d just like to personally see that version already in the system though. Of course thats totally up to you guys at the mint team. Anyway I guess this ended up a little longer then I expected sorry about that. You guys have a wonderful day or days I should say haha 🙂 Keep on rockin those new releases Clem and a big thanks to all the other mint devs. Go team Mint! Edit by Clem: Hi Cory, yes of course. Whisker is our favorite Xfce menu and in 4.12 it even got adopted by Xfce as an extra plugin. We always update it and 17.2 ships with 1.5.0. All Xfce components and extras were reviewed for this release by the way and the vast majority of them were upgraded to their latest versions. No object for D-Bus interface. Edit by Clem: Try to mount it manually to troubleshoot the issue. After REMOVING a command then reopening the shortcuts are NOT removed. Edit by Clem: It seems to only be a cosmetic bug. First it only happens when the keybinding is used by another command (in this case, removing the new one makes the old one reappear, that seems to be done by design). Second, the new app is indeed removed but still there graphically. Closing/Reopening the settings confirms this. Editing the shortcuts in Xubuntu and Point Linux Xfce work correctly. Edit by Clem: Which versions? Is there any chance to get xfce 4.12 into the LMDE Betsy branch? Would be great if yes. Edit by Clem: No, sorry. Thank you for the information, very impressed! It’s how I imagined Samsung’s Windows version to be, except theirs only featured two non-standard aspect ratios, which I always thought that was a bit odd as everything appeared distorted. Editing keyboard shortcuts in both work correctly both the above. I am able to ‘Remove’ a shortcut or change the shortcut, and later they still display correctly. In Linux Mint Xfce 17.1 and 17.2 when I click ‘Remove’ (try MailReader or WebBrowser) in the ‘Keyboard > Application Shortcuts’ nothing happens. Edit by Clem: Thanks, we’ll get that fixed. 2)About QT: the root of the bug is debian packages. 17.2 may be shipped with xfce4-session 4.10, or rebuilt 4.12. Debian 8 uses xfce4-session compiled with –disable-legacy-sm by default, so I got some uggly QT applications because of it. Examples: skype, qtconfig. Edit by Clem: Thanks, it was filtered as spam. I brought it back and commented aboved. Thanks for LinuxMint 17.2, i was waiting a lot!!! Well, at 17.1 i had a little bug. At open configuration-appereance the new windown with options was freeze and some seconds close. Was not possible configure the appereance. Yesterday i check this at usb-live 17.2 and works! At made installation and try to change appereance do the same, freeze windows and close. By the way, before installation i delete the folders .xfce to have a clean installation. I’ve been using Mint Xfce for several years. I consider the Mint implementation of Xfce to be the best DE ever, and I look forward to upgrading from 17.1 to 17.2 Xfce. There is one detail that I hope could eventually be improved in Xfce — management of multiple monitors when the primary monitor is on the far right. KDE has FolderView mode, which keeps desktop icons from moving to the far-left monitor, but Xfce is snappier and more modern looking (IMO) than KDE. I get around the multiple monitor issue in Xfce by using the FolderView widget in the add-on application, Screenlets. Thanks for keeping Xfce in the Linux Mint lineup! I added ‘Directory Menu’ to the Panel. The ‘Icon’ and ‘Filtering’ options work fine. 1) After installing KdenLive in 17.1 or 17.2 xfce and running it – there are no icons on the toolbar and no translations. Works well. For hardware reasons I had to install the 3.19 kernel and up to now everything seems OK. It’s also nice to have xfce 4.12. Many thanks for this great distro. All other files seem to transfer fine. Using an ftp client has NO problem transferring zero length files. This ones more development related, not sure if it can be changed downstream. had installed the Cinammon edition 17.2 and added xfce by installing mint-meta-xfce. Unfortunately, the panel misses several functions, especially the menu. Deleted all xfce-related files from my home directory but nothing changes and logged in again. Is this intended or is the meta-package missing packages. E.g. the xfce4-whiskermenu-plugin is not installed through the meta-package. I just updated mint-artwork-xfce (2015.07.09) to 2015.07.20 and xfce4-session (4.12.1-1ubuntu1~14.04) to 4.12.1-2mint1+rafaela using mintupdate. After that, the keyboard shortcuts that I created via Window Manager for window tiling were all gone like on a fresh installation. I posted the bug on launchpad with #1476905. Edit by Clem: hi Sebastian, that’s because we fixed a bug in there during the RC and we had to reinitialize the keyboard configuration. It won’t happen again. Can you give us an idea of when the upgrade path from 17.1 to 17.2 will be available via system update? Mint Xfce is probably my favourite Linux distro. Thanks for all the work! However one (not so small) bug. Any chance of a fix for the touchpad driver bug on some laptops? The touchpad driver is very unstable and losses complete control with the pointer going crazy and jumping all over the screen at a very high speed. Also clicking as it goes. It makes one laptop unuseable. Edit by Clem: Hi Kate, I’m sorry it looks like a hardware support issue rather than something related to Xfce. Use lspci to identify your touchpad model and try to seek help on the web, forums, IRC. 1. Thunar – right click > search doesn’t work. Clicked on it and nothing happens. I removed the [–fileman=Thunar] part of the command so now it just says [catfish –path=%f] and it now works perfectly. 2. Tried installing 3.16-44 kernel and Grub went nuts. Still had the nice neat “Linux Mint XFCE 64-bit” line (love that touch BTW), but above it I also had the more verbose lines for the new kernel as well. When I tried to reorganise things in Grub Customiser I got a syntax error, and got more syntax errors when I removed the new kernel via update manager so I couldn’t so update-grub. Ended up manually restoring the backup settings for Grub and sticking with the default kernel. Anyway i can switch from cinnamon to xfce without reinstalling mint? Edit by Clem: You can install mint-meta-xfce, which will install many but not all components unfortunately. After that, do an “apt search xfce” and identify the packages missing you might want to install. Hi, I’m currently using Linux Mint 17 xfce and just now the update manager shows an option for upgrading to Linux Mint 17.2. Will it upgrade mine to 17.2 xfce RC, stable 17.2 xfce or to other mint edition (Mate & Cinnamon)? Edit by Clem: to 17.2 Xfce (stable), if any additional bug fixes are brought to the RC you’ll get them via updates in the update manager. I’m not sure whether it is MDM problem or Pulseaudio (seems to me that mdm), but after relogging via MDM pulseaudio doesn’t detect new connected devices (for example usb headset). I’ve tried to logout from session, switching to tty1 and running top: from what I see MDM launches pulseaudio, which is weird, MDM do not need pulseaudio (or it remains unkilled after logging out), because of this the only option to do is to kill pulseaudio from tty1 and restart mdm service. Updated 17.1 Xfce to 17.2 beautiful! Thank you very much for the update, my old laptop runs quicker than ever on Mint. One issue with the update though – the battery icon will not display the percentage or time left on battery. On Cinnamon I can fix it by going into the Applet but on XFCE this doesn’t seem possible. When I click on the icon it simply gives a menu asking if I want to change display brightness, go into presentation mode or go to power management settings. That’s the only bug and I know many others have the same thing. If that is fixed in an update I would be very happy. Edit by Clem: I didn’t talk to the Xfce devs but I implemented the Cinnamon applet and I guess something similar is happening. In Cinnamon we got closer to accurately report what upower tells us, I think the Xfce developers did something similar (I’m actually planning to learn a bit from them.. they report the hardware vendor/model info better than we do). Anyway, you can see what upower says about your hardware by running “upower –dump” (with two – signs.. the blog doesn’t show double – signs correctly). I have recently switched over to LINUX after XP became unsupported and have to say, that I am thoroughly loving MINT XFCE. It’s a breathe of fresh air, I am enjoying computing and learning again! I have actually started going wild, built a nice new desktop to remote to work, threw MINT XFCE on it. Bought a new laptop specifically for Linux didn’t bother dual booting wiped over it with a MINT XFCE install. I want to say thanks to everyone involved in the project and I will be donating. I did a flawless upgrade to Mint 17.2 Xfce on both my old Sony Vaio laptop and my recent Acer desktop. I have been using Linux Mint (from rel. 15) since MS stopped supporting XP. No Microsoft PCs left in the house. I love Mint Xfce so much. It is very efficient with a beautiful elegant lean and mean interface. On my laptop it runs 10 degrees Celcius cooler compared to Vista! And Audacious is a great FLAC audio player for me. Also for my wife it was no problem at all to get used to Mint Xfce. This for the people who doubt to migrate from MS to Mint. The [Clear] button has no text as it does in the ‘Notification Area’ panel. The [Cancel] button has text. And less important: Gnome disks, Printers, Blueman (It seems to me that it was finally included to distro. Great, I can connnect my mouth without installing smth), , input methods. If this has not been discovered yet, or if this is not an issue with Linux Mint 17.2, please e-mail any solution that you may come with. Your efforts will be extremely appreciated. My e-mail address is: chrisisawesome111501@gmail.com. Thanks. I have fixed the issue by simply deleting that file. Thanks anyways. I’ve submitted them to github, there are also bug with ascii passwords. No one took a look at bugs at github… Is there reason to open tickets in mint’s github? I havent tried xfce before. After watching the youtube video of linux mint xfce, I was impressed and would want to try it. It seems like its highly customizable. Ive read on forums and they said its way faster than cinnamon. I cant wait to try lm xfce. Should I install 17.2 rc or 17.1 stable? As reported on Forum, unable to get 32bit to complete installation??? Plenty of space, memory, etc. LiveDVD runs very nicely. Anyone else? Need to get it running on some older kit for some local pensioners, too! Good, but I manage to remove my Sound Icon from the Panel. And there’s no way to get it back? It seems like I have to install the whole Mint agagin. How do I get it back??????? Great! I’ve just upgraded to 17.2 Xfce and all seems to work flawlessly in my laptop (Acer E-112M). No bugs, 0 problems. Thanks to Clem and all the Mint staff. Intel Sound Card kernel bug. Oh I am so fed up with this!!! The end result is that with kernel 3.16 sound does not work on my HP laptop. It’s not just Mint, affects Debian as well. The volume control shows ‘dummy output’ and you can see the meters going up and down according to sound but nothing from the speakers – internal or external. On Debian I can install the liquorix kernel which fixes this – I guess with ‘buntu/Mint I’ll be able to go back to 3.13 which works fine with Mint XFCE 17.1 on the same hardware. Dull!!!! Thanks Clem, I haven’t seen before the distro that is so close to community! Surprisingly that all my favoutite DEs and distros are all from France: Elementary, Pantheon-DE, Xfce and Mint! About power manager again: Clem, the power-manager-plugin shows the remaining percentage, while xfce4-power-manager does not. Running them both means two icons – one “external” from the plugin, and one “internal” in indicator area. When I close xfce4-manager-plugin, it seems OK, but when I try to open the settings, it says Power Manager is not running. Then again there are two icons. I believe this is the issue others had reported. Something is wrong. I just upgraded from 17.1 to 17.2 through the GUI package manager with no issues. The major improvement, for me, is definitely the ability to move a window across multiple monitors with the keyboard (WIN+SHIFT+Arrow). It works flawlessly and has officially removed my only reason to touch the mouse. Well done, and thanks a million!!! Yes, power-manager tray icon doesn’t show percentage level, it’s just shows “Show power level of connected devices” (smth like this, my mint isn’t englsih). It seems to me that it was buil on system with obselete libs. Cause in Xubuntu you may adjsut brightness via scrolling over this icon. Since I updated from 17.1 to 17.2 I can not switch from Compiz to xfwm… The menu let me change but nothing happens even after relogging in or restart. Why are some packages such as lynis so much out of date in Linuxmint 17.2 xfce ? your linux mint just took every means of ever going back to windows away it doesn’t even have dvd drive in boot section of system settings …like it was never there…i will be filing law suit as soon as i can for ruining my system. It’s my 2nd install on this machine I had a problem with grub2 I think I created it on my own. I just received an “error error 32 can not create new note broken pipe. Haven’t seen this one yet..
Is there a Linuxmint 17.2 XFCE Final image available for a new install? Hello! I have a simple question, I don’t understand something. When will be posted the official announcement for 17.2 Xfce? Becase it has been 3 weeks since the RC. Has it been skipped, because the RC was very stable already, or why does it take so long? Mint Xfce is just wonderful, I recently dumped MS Windows 7 in favor of 17.2 for a photography editing system and it runs great. Many thanks for such a wonderful OS!